HOT! 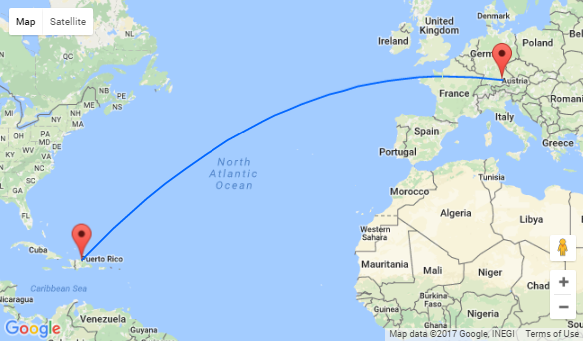 Non-stop from Munich to The Dominican Rep. for €255! Book last minute flights from Germany to the Dominican Republic from only €255 roundtrip! If you are yearning for a break, why not take advantage of this deal? Fabulous beaches of Dominican Republic attract visitors from all over the world. One of the Caribbean’s most geographically diverse countries offers tourists astounding nature, intriguing history and rich culture. Known for warm and hospitable pople, the island is a destination like no other, featuring stunning mountain scenery, reminiscent colonial architecture and paradise beaches. Caribbean region is where you make memories to last a lifetime! One cabin bag and one piece of checked in baggage (23 kg) per passenger. In Puerto Plata we recommend Casa Azul Apartment Studio with good reviews for just for €24 per night. All the rooms at the hotel provide a private bathroom, an in-room dining area and a refrigerator. A shower, an oven and a sofa bed are also provided. It has very good reviews.